Indian bike riders had been waiting since a long time for a good sport bike and there were not many options in the market for this category. Honda one of the reputed motorcycle manufacturers have come with their sport build. CBR 250R an invention from the Honda garage is arresting the sight of bikers and is already dominating the market by conquering the 250 cc segment. The low handle, fiber covered bike front of the bike is slightly pointed at the headlamp. The fiber cover has two colors and the rear view mirrors are loaded right above the headlamp on either sides of the windshield. The bike appears to be lengthy with the rider having to bend slightly to the front to reach the handle. The silencer cover, foot rest assembly and some part of the fiber cover in front and rear is painted in silver metallic color which looks fabulous from the sides. However this color combination is available only with two color variants of the bike. 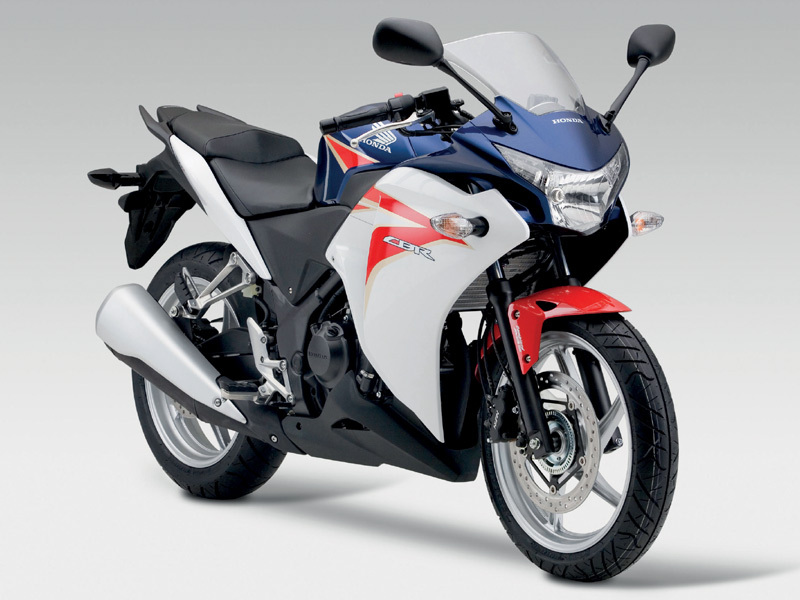 The 249.66 cc four stroke engine of Honda CBR 250R uses a liquid cooling system. There are totally 4 valves two on inlet and two at exhaust of the engine which are driven by two camshafts separately. 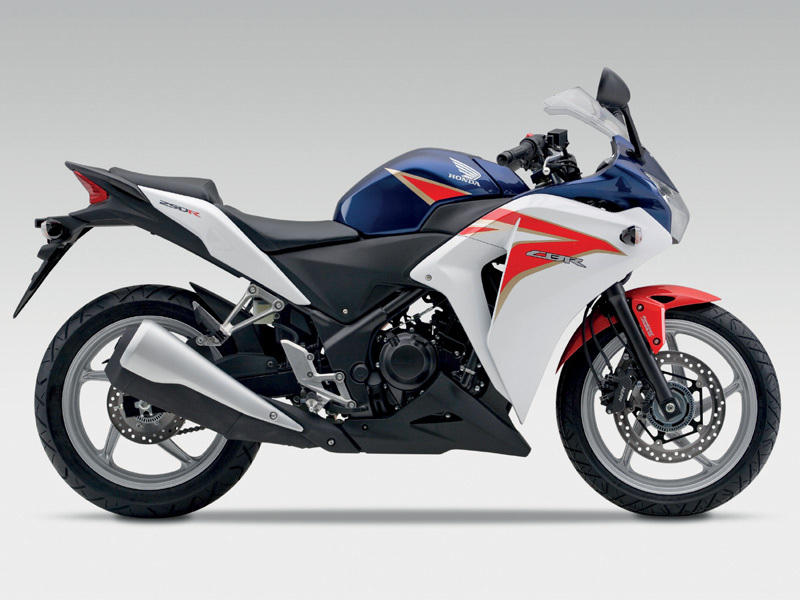 Honda CBR 250R engine is capable of producing a maximum of 22.9 Nm of torque at 7000 rpm. With proper gearing and acceleration a rider can touch high speeds very quickly because of its high torque. The maximum output power of the engine is 25 bhp and this power is delivered at 8500 rpm. There is a lot a person could describe about the design of this wonderful ride. The aluminum cast wheels, the design of fiber body covering the front, the petrol tank design that fits exactly on to the aerodynamic shape of the fiber cowl, the up lifted rear end and many other aspects makeup to bring Honda CBR 250R on Indian road. It has a seat divided at the pillion and the entire body of the bike is made in a way to not only add to the sporty characteristics but also to give the rider a comfortable experience. One of the highlights of Honda CBR 250R is the Antilock Braking System. This system ensures perfect control of the bike in high speeds and other situations that lead to accidents. The front and rear wheels of the bike are loaded with disc brakes which is controlled by an electronic unit. This unit ensures stable and perfect braking on both wheels when the brake is applied. This is an addition to the road grip of the bike especially in uneven roads. The bike uses single shock on its rear like all other Honda bikes. Honda CBR 250R uses thick tyres which are tubeless and this thickness ensures the road grip of the bike. The bike has a large wheel base and the height at the seat is not very high which makes the bike suitable to men from varied part of population of the country. The six gear transmission system would distribute torque according to in an equal ratio. This can reduce the load on the engine to some extent and give better riding comfort. 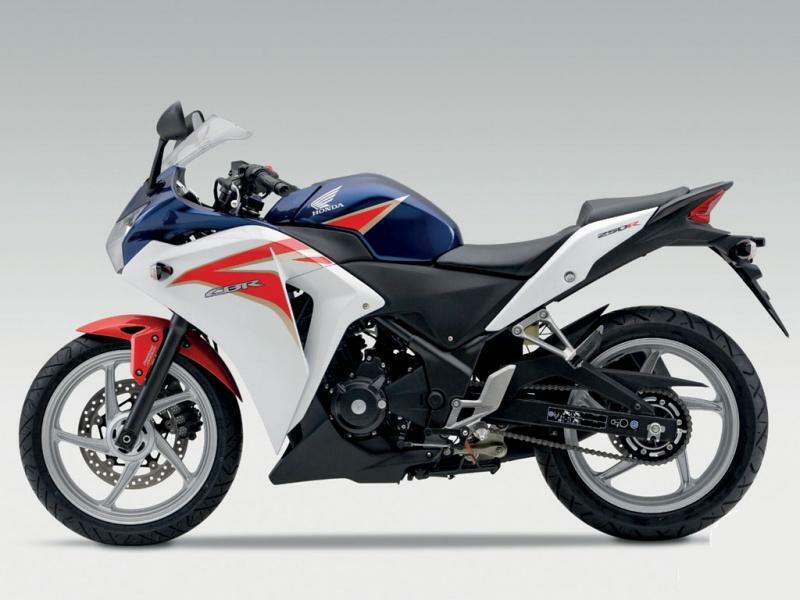 Honda CBR 250R a 250 cc bike with high torque output would provide a mileage of around 35 to 40 km/lit on the highways and around 30 to 35 km/lit in the city limits. This would further depend on the road conditions and the riding style.